Fort DeSoto Fall IPT/October 11-13, 2014. 3 FULL DAYs: $1099. For the past ten plus months I have been putting in 20 or so hours each week into the blog to ensure that it remains informative, timely, and beautiful. Most of the educational features that formerly appeared in BAA Bulletins now grace the BAA Blog. If you are not subscribed, you are missing a ton of great stuff daily. 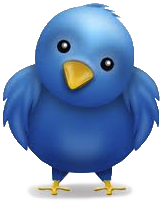 I am currently working on a streak of 306 days in a row with a new educational blog post. You can subscribe to the blog posts by clicking here. 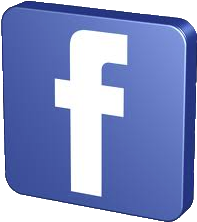 If you have a problem subscribing, please contact us e-mail. Learn about the new Canon EOS-7D in the blog posts here, here, here, and here. There was a huge, positive response to the Stress, High Blood Pressure, and Breathing blog post of September, 27. 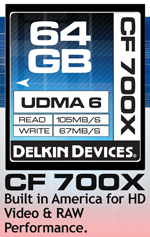 Along with 7D Mark II battery info. Check out the free CS-6 Crop Tool Tutorial here. The blog post of September 14 here answers an important question about the EF 300mm f2.8L IS II Lens: How Sharp is Sharp? 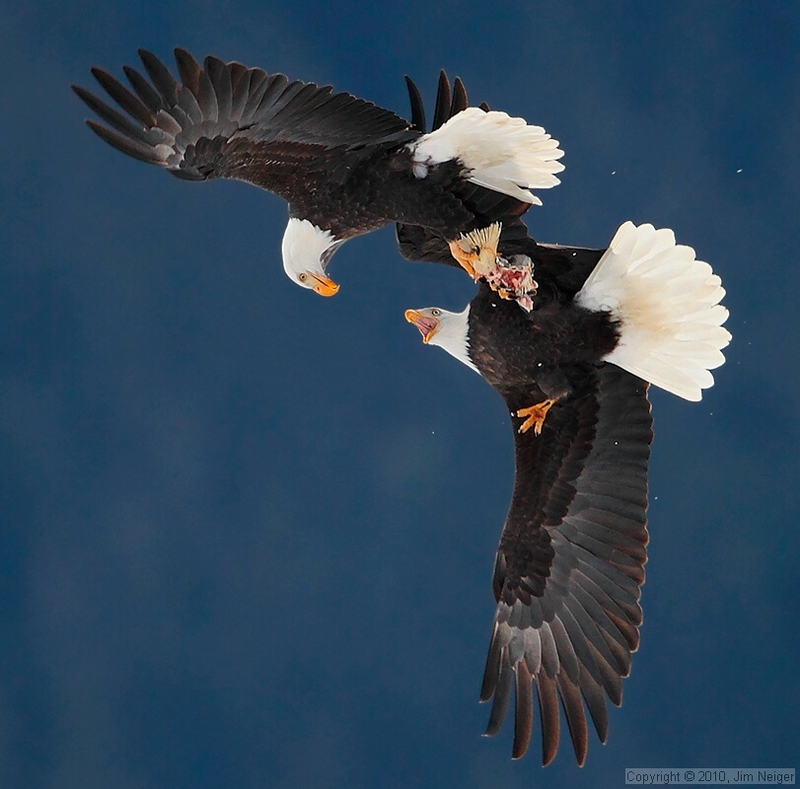 Flight School Photography introduces a newly developed workshop to take place at the Alaska Chilkat Bald Eagle Preserve near Haines, Alaska. 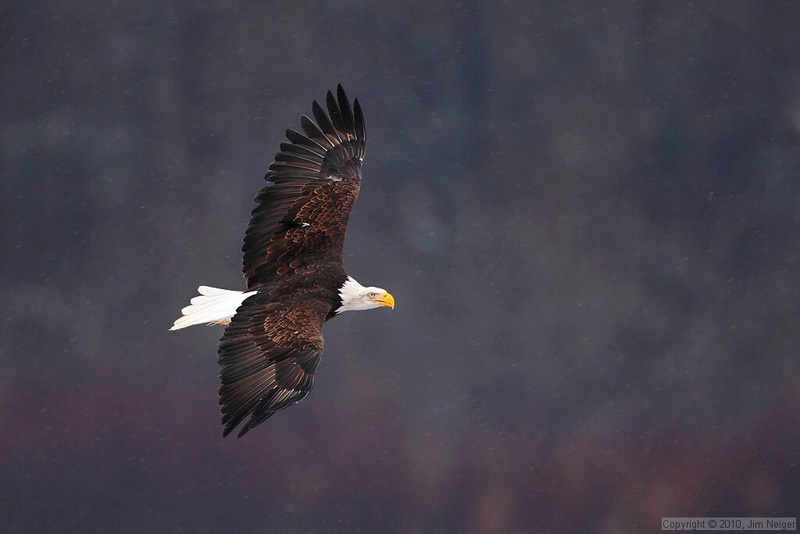 Each fall, hundreds of Bald Eagles gather along the Chilkat river to feed on spawned out salmon that are accessible due to the open running water. A natural phenomenon in the area warms the water in the river and prevents it from freezing. More than three thousand Bald Eagles congregate here each fall to feed on the Salmon in the shallow open water streams flowing thru the river valley. 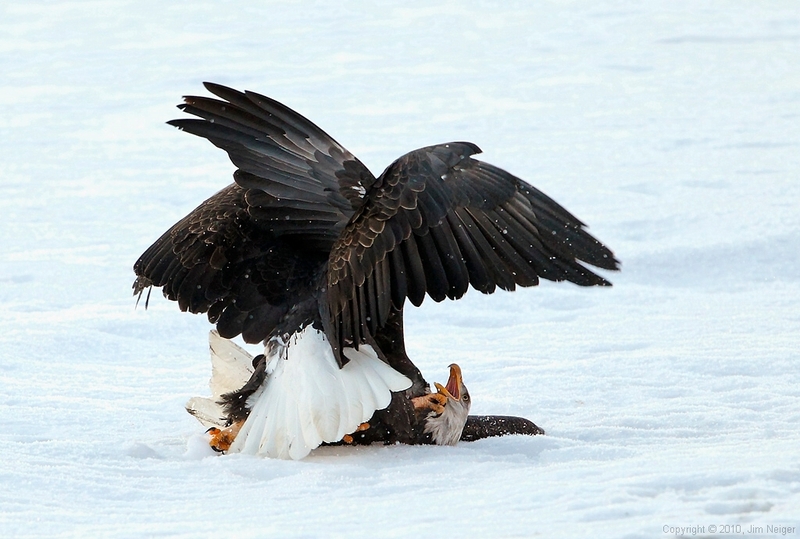 Towering snow covered mountains surround the river valley providing magnificent backgrounds for our Bald Eagle images. 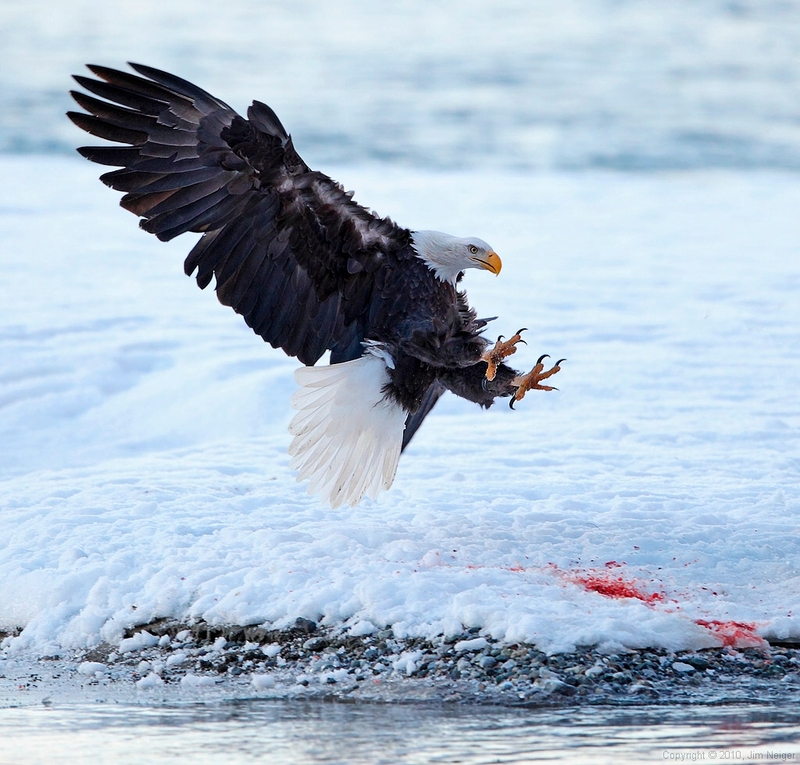 The Eagles soar over the valley and swoop down to attack each other as they battle for their share of the Salmon from the river. We will have front row seats for this spectacular show. 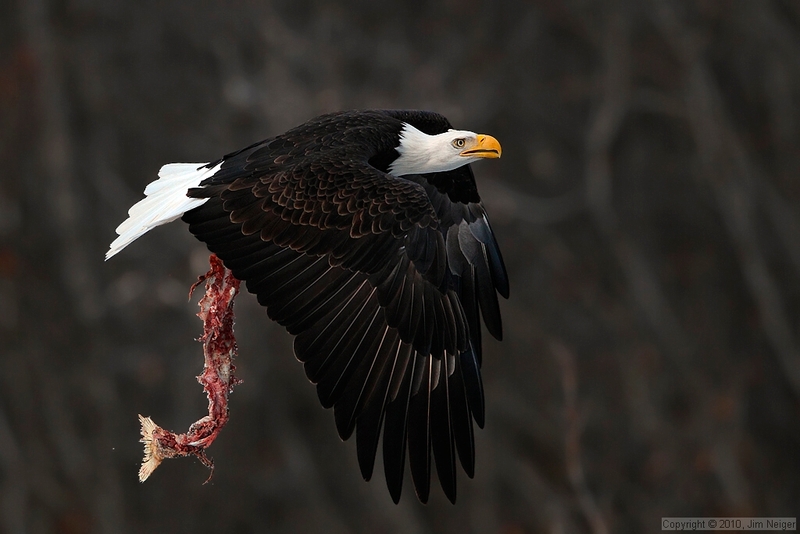 If you like Bald Eagles in action and gorgeous scenery, this is a workshop that should not be missed. While our focus will be on photographing the Bald Eagles, we will also have opportunities to photograph the magnificent scenery and other wildlife. Possibilities include bear, moose, and other species of birds. 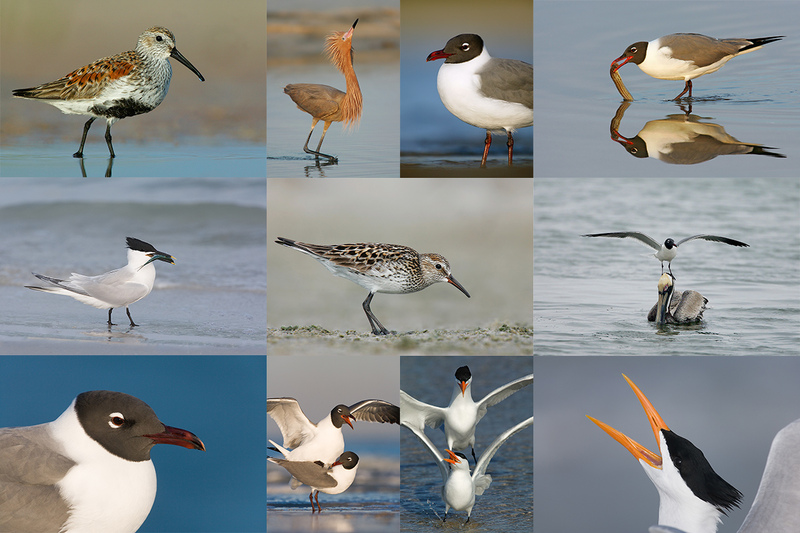 The workshop, conducted by expert bird photographer, Jim Neiger, will take place in early November of 2014. 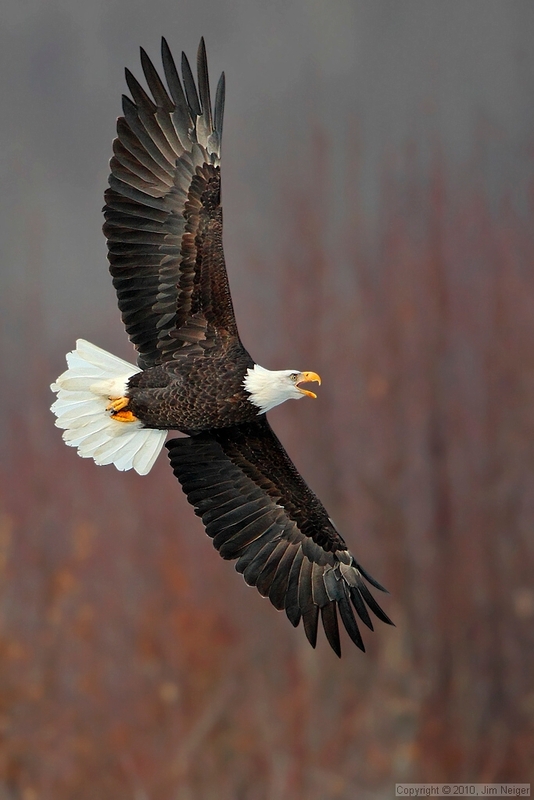 Jim has perfected unique techniques for photographing birds in flight using large telephoto lenses, hand held. The focus of this workshop will be to learn Jim’s hand held, long lens techniques for photographing birds in flight and in action. 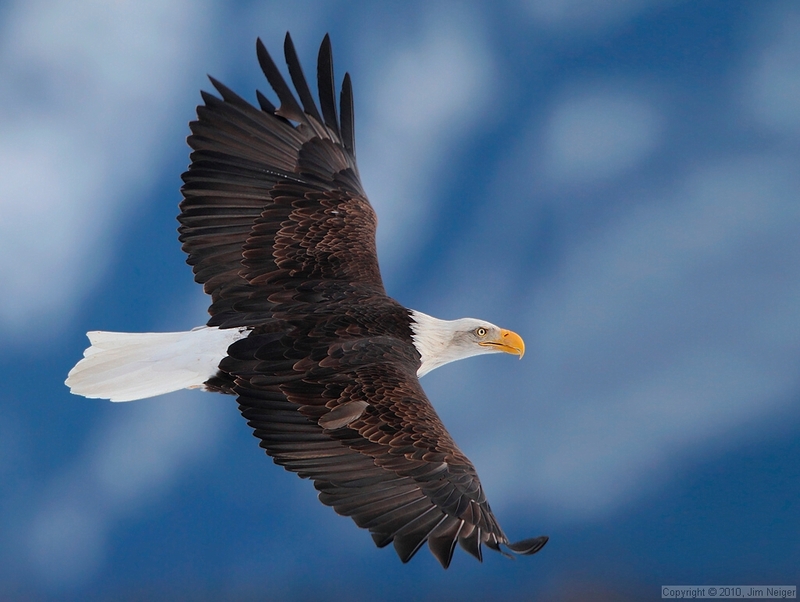 Jim is known for his consistent production of amazing flight images and images of the most desirable subjects. 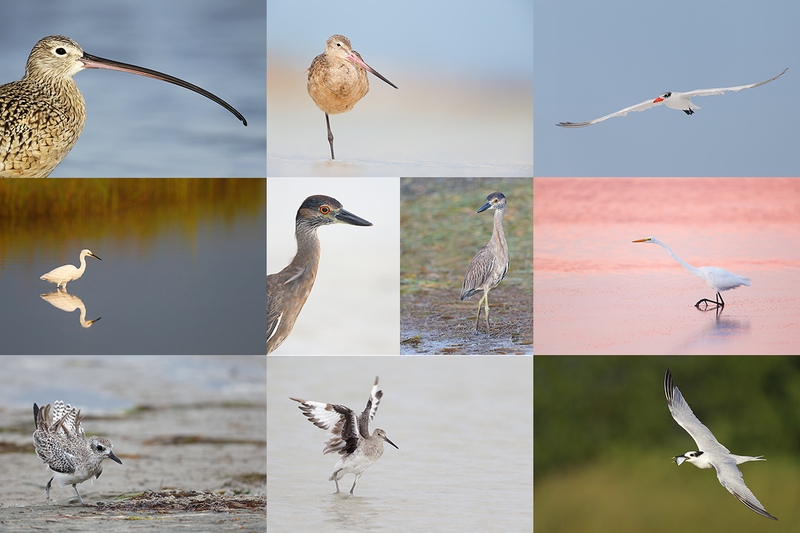 His Flight School Photography Workshops are a must for any serious nature photographer. The workshop will last 6-days and include a four hour classroom session and 5 days of photography in the field. This workshop is limited to six participants so that everyone may receive personalized instruction in the field. 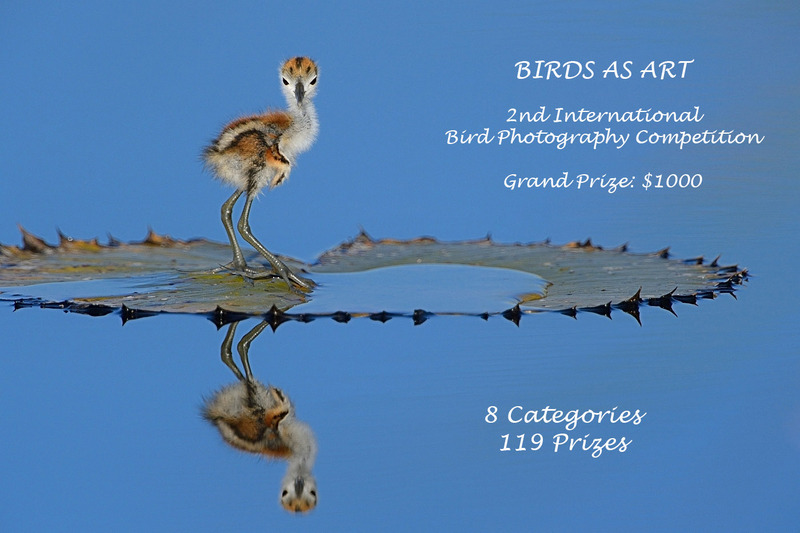 The workshop, conducted by expert bird photographer, Jim Neiger, will take place in early November of 2014. 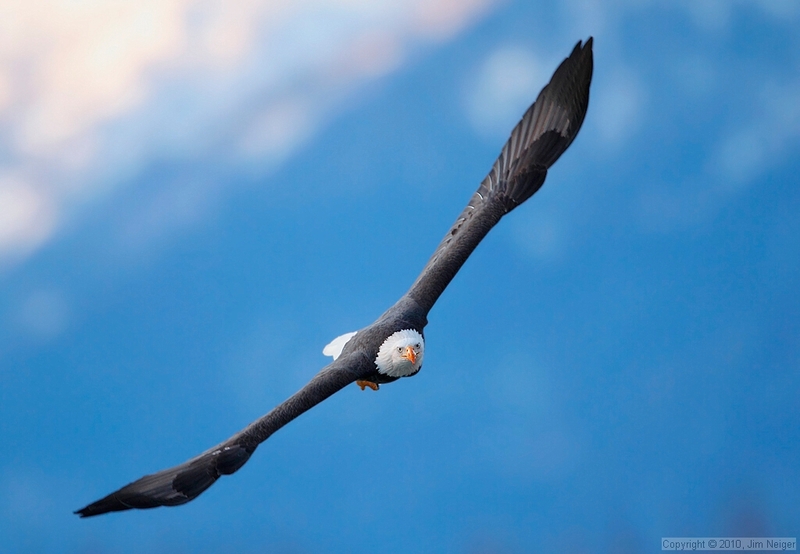 Jim has perfected unique techniques for photographing birds in flight using large telephoto lenses, hand held. The focus of this workshop will be to learn Jim’s hand held, long lens techniques for photographing birds in flight and in action. 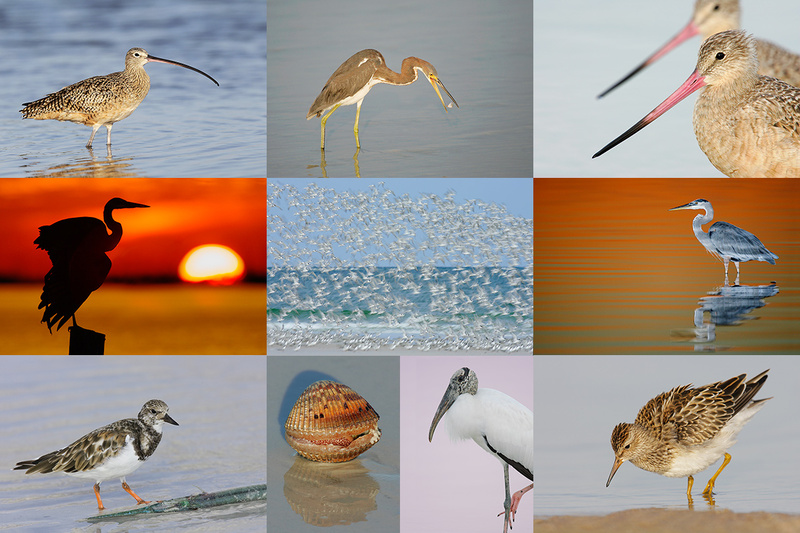 Jim is known for his consistent production of amazing flight images and images of the most desirable subjects. 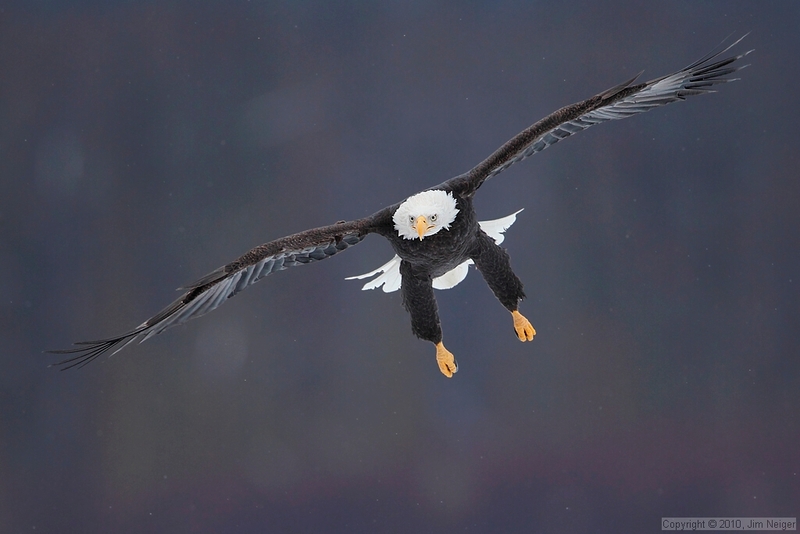 His Flight School Photography Workshops are a must for any serious nature photographer. The workshop will last 6-days and include a four hour classroom session and 5 days of photography in the field. This workshop will be limited to six participants so that everyone may receive personalized instruction in the field. Be sure to visit the Flight School Photography website. Jim offers both scheduled and personalized pontoon boat trips and land-based instruction at various locations around central Florida. 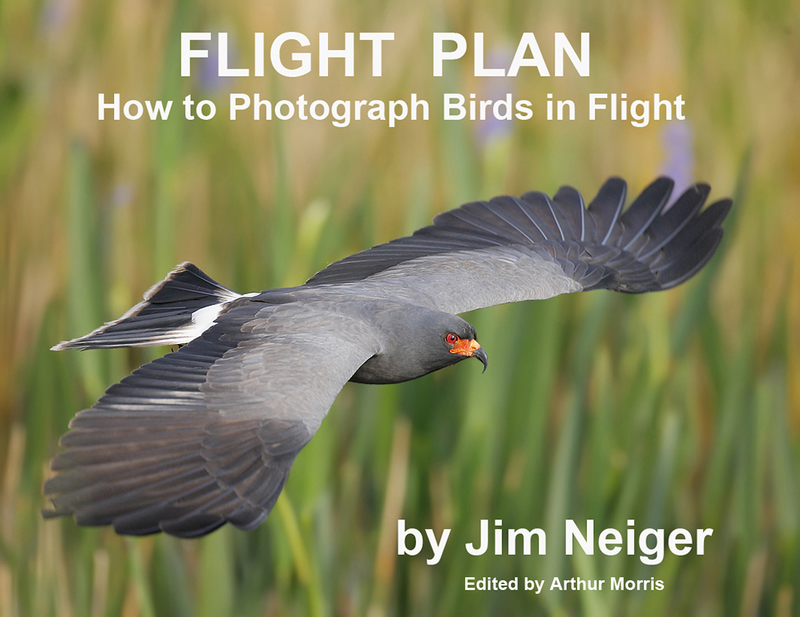 I can say without a doubt that after spending more than two months (part time) a while back editing Jim Neiger’s great e-Guide, Flight Plan, that my flight photography improved by leaps and bounds whether I am working off a tripod or hand holding. His explanation of the bumping the focus technique finally sunk in. Learning to use this technique regularly is a huge help for any all types of flight photography. In addition, I recently implemented two of Jim’s AF recommendations; again, the quality of my flight images increased as did my percentage of keepers. You gotta love that.